Our “resident” music director is Martin Webster of Carnforth. 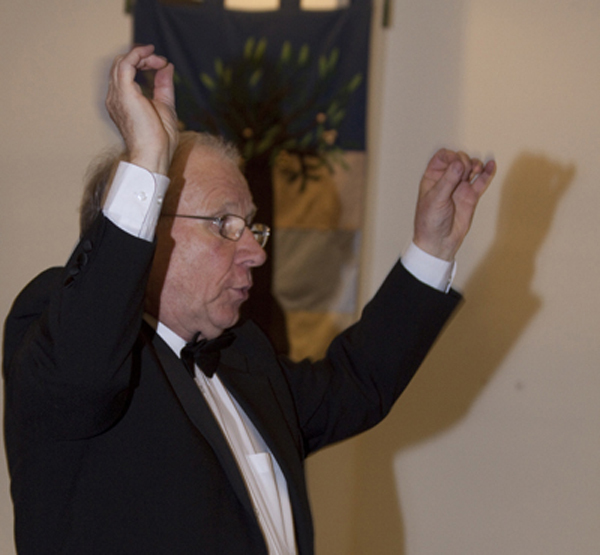 Martin has had over 40 years conducting experience with a variety of groups including children’s choirs, church choirs and male voice choirs. He has been Director of The Mewses, a small Kirkby Lonsdale based choir since 1995 and was Conductor of The K Shoes Male Voice Choir of Kendal for ten years. Martin was a Primary School head in Hertfordshire for 22 years and then he retired to Kirkby Lonsdale where he and his wife ran The Mews Coffee House and Restaurant for nine years. They retired from that in 2002 and now live in Carnforth. 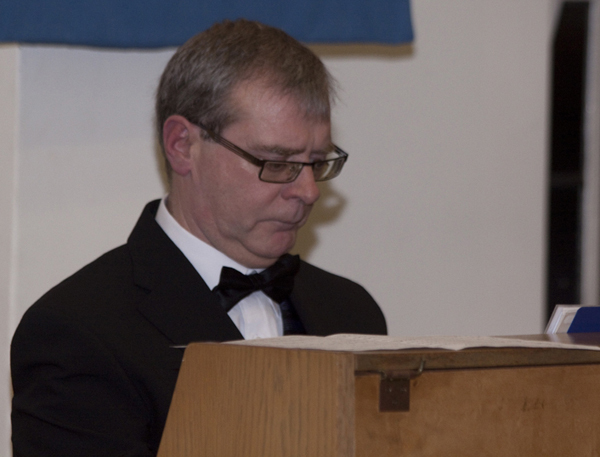 Our accompanist is Richard Bromley who is a piano teacher from Kendal. He also conducts the Hornby Occasionals (Gilbert and Sullivan) and is the organist at Burneside Church. Richard has an honours degree in music from Huddersfield and a licentiate diploma in piano performance. The team also includes Eric Greenwood (Secretary); Ivor Johns (Social Secretary); Joan Ashworth (Chairman and publicity); Alec Fraser (Treasurer); Gill Webster (Concert Secretary); Sue Beckinsale and Jennifer Greenough (music librarians).